Microsoft Office 365 – Your Office in Your Pocket! 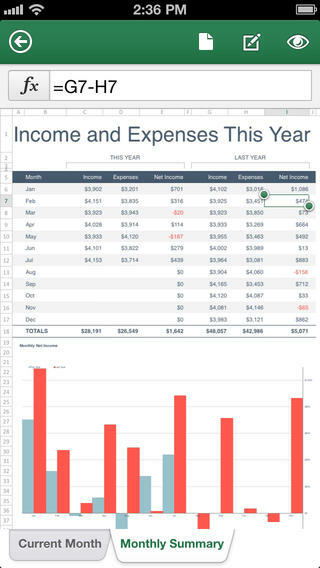 Microsoft made big news when it launched Microsoft Office 365 for the iOS platform, thereby lending enhanced capability to the iPhone users. The version of the app available for the iOS device users is similar to the one which has been available to the Windows device users and now to the android phone/tablet users. Now, even iPhone users can easily read, edit & create documents (Word, Excel, PowerPoint) without worrying about doc formats! It is amazing to see a phone develop exceptional capabilities when we spruce it up with power-packed mobile application. 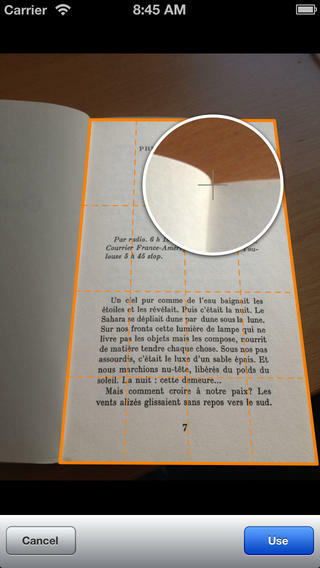 Genius Scan is one such iOS based mobile application that will turn your iPhone into a PDF Document scanner! The way it functions is pretty simple – you don’t have to do more than use the app, Genius Scan; it does the rest. Genius Scan features a highly advanced scanner technology that allows it to easily scan documents via smart page detection, to do perspective corrections, to do image post processing and you can also create PDF documents with multiple scans! 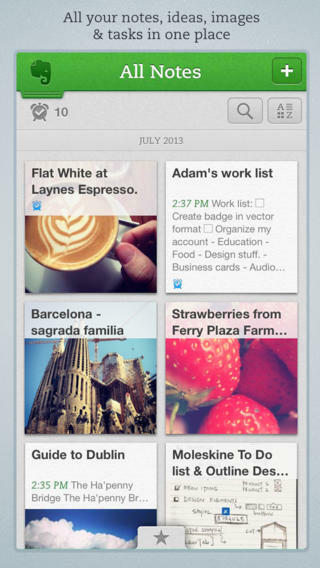 This iOS-based app for iPhones & iPads lets you easily scan documents and mail them through your phone itself. You can send the scanned documents across either as a JPEG image or a PDF document. Dragon Dictation – You Say It, Your Phone Will Type It! Taking mobility to the next level, Dragon Dictation mobile application turns every word that you speak into text, which means now no more actually typing messages or writing emails on your phone, you just have to say it and the phone will do the rest! 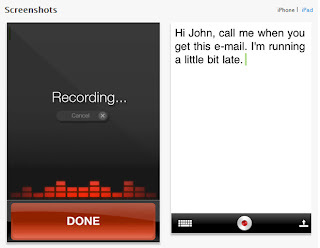 Well, voice recognition applications aren’t really new to us but this cool app has simply taken it to the next level; like I said before. Created by Nuance Communications, this amazing app is a dedicated iOS mobile app and turns your iPhone, iPad, and other iOS powered mobile devices into a handsfree typing machine. Adding more power, this app can type 5x times faster than your keyboard. Plus, it features support for many languages from around the world. It works not only for your messages or emails but also for your blog posts and posts to social media sites like Facebook, Twitter, etc. Trip It – An Amazing Trip Planner! Another amazing mobile app that makes the cut on both – Android & iOS; Trip It is deservingly the favorite travel related app for seasoned business users, new entrepreneurs & top executives. Simple, easy-to-use interface and the capability to sync all your travel details make this mobile app extremely useful for people who travel frequently for work. 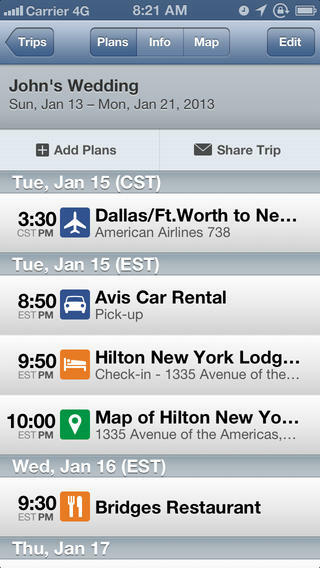 Trip It mobile app comes equipped with various features that lets it plan your business travel schedule with precision. This iOS mobile application supports more than a thousand booking sites and provides a one-stop solution for scheduling and managing travel. You can access maps, reservations, flight details and more. 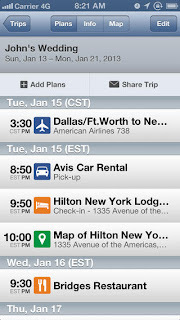 It can sync your calendar with your travel entries and allows you to share your trip plans with office, family and friends. 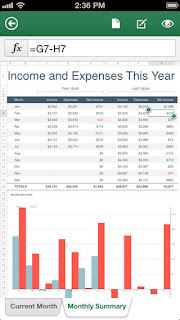 So that’s for the top 5 business apps of 2013 (until this time) on iOS platform!